OSWEGO, NY – FitzGibbons Agency of Oswego has announced its January and February Oswego High School Athletes of the Month. 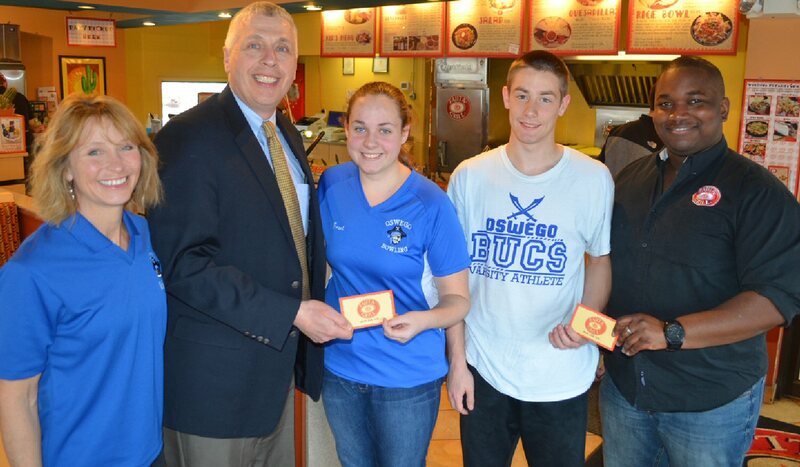 FitzGibbons Agency and the Oswego Buccaneer Booster Club sponsor the monthly awards, which recognize outstanding Oswego High School student athletes. 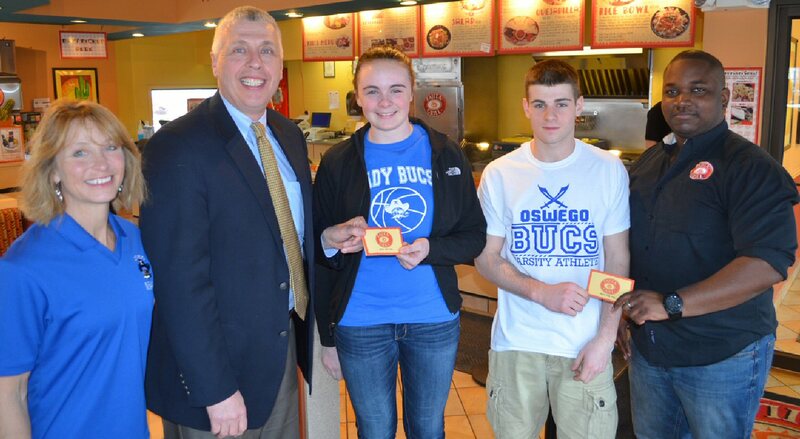 Each of the winners received a $25 gift card from Fajita Grill in Oswego. 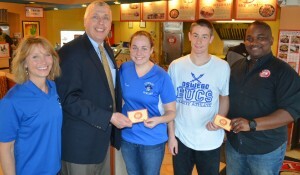 The January Athletes of the Month recognition are from left: Judy Queale-Dunsmoor, president of the Oswego Buccaneer Booster Club; John FitzGibbons, owner of the FitzGibbons Agency; Kaitlyn Grant, OHS freshman bowler; Armand Vooris, OHS senior indoor track team member; and Jay St. Mark, general manager at Fajita Grill. The February Athletes of the Month recognition are from left: Judy Queale-Dunsmoor, president of the Oswego Buccaneer Booster Club; John FitzGibbons, owner of the FitzGibbons Agency; Clara Culeton, OHS sophomore basketball player; Kyle Crossman, OHS sophomore indoor track team member; and Jay St. Mark, general manager at Fajita Grill.